I haven't spoken much about Dwyane Wade on here recently. He has shut it down for this season, something that probably should have happened sooner. He never really looked healthy all year, so this is really good for Wade, the Heat, and Converse. It is believed that Wade will be healthy enough to play in the Olympics. Were he might debut a new shoe or a new colorway of the Wade 3.0. 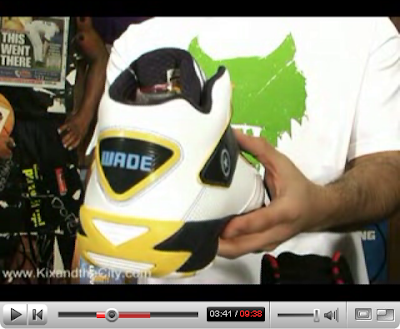 Either way, the next Wade shoe to debut will be when Marquette plays Kentucky in the first round of the NCAA Tournament. Recently kicks and the city posted video of the shoes, and here are some pics. 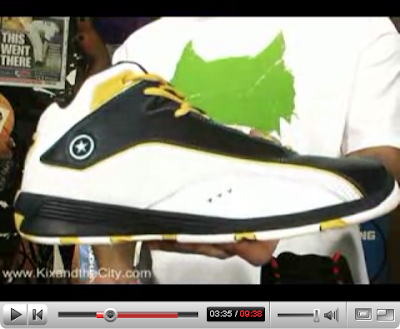 These are the Converse Team Wade. They will be released in team colors for next basketball season. I can't wait to see Marquette on Thursday come out in these unique shoes made just for them. It looks like Kentucky has a sizeable lead on the poll, but anything could happen between now and the end of the voting. Thanks for stopping by and checking out the blog, good luck in filling out your brackets!